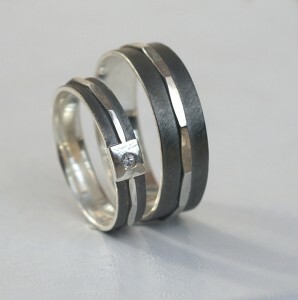 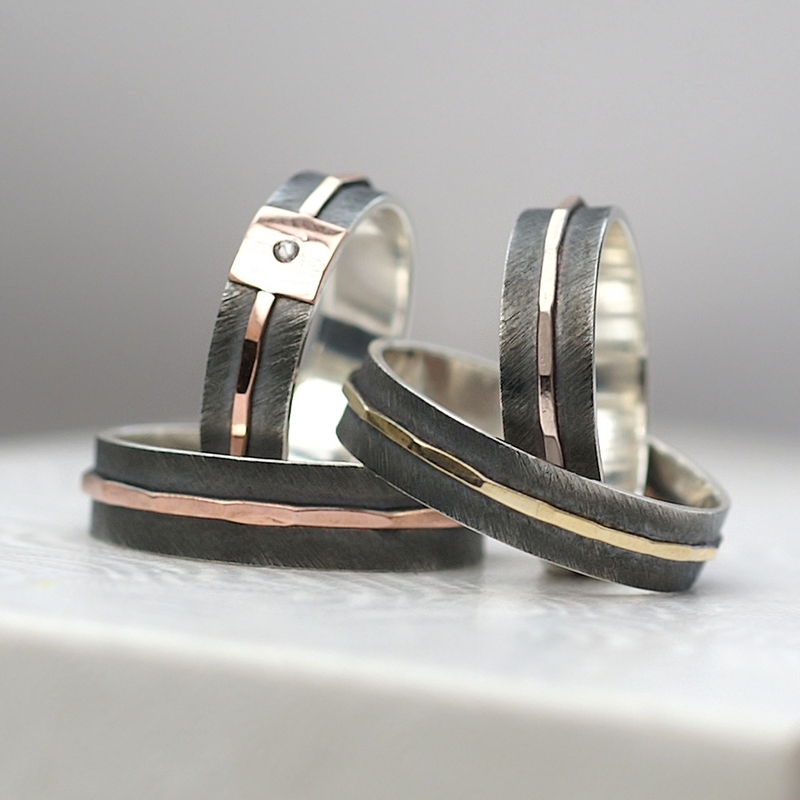 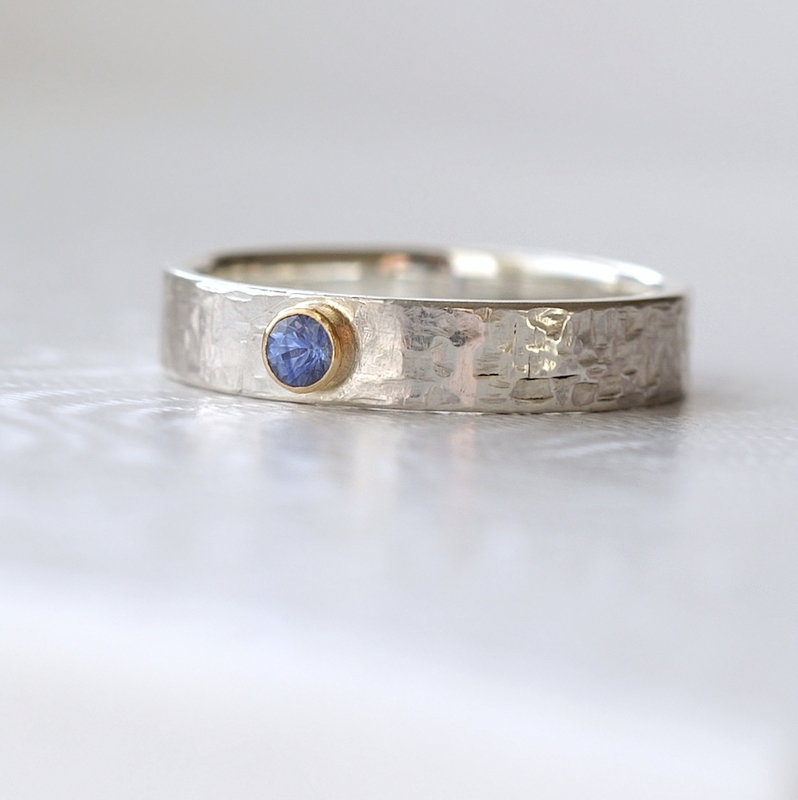 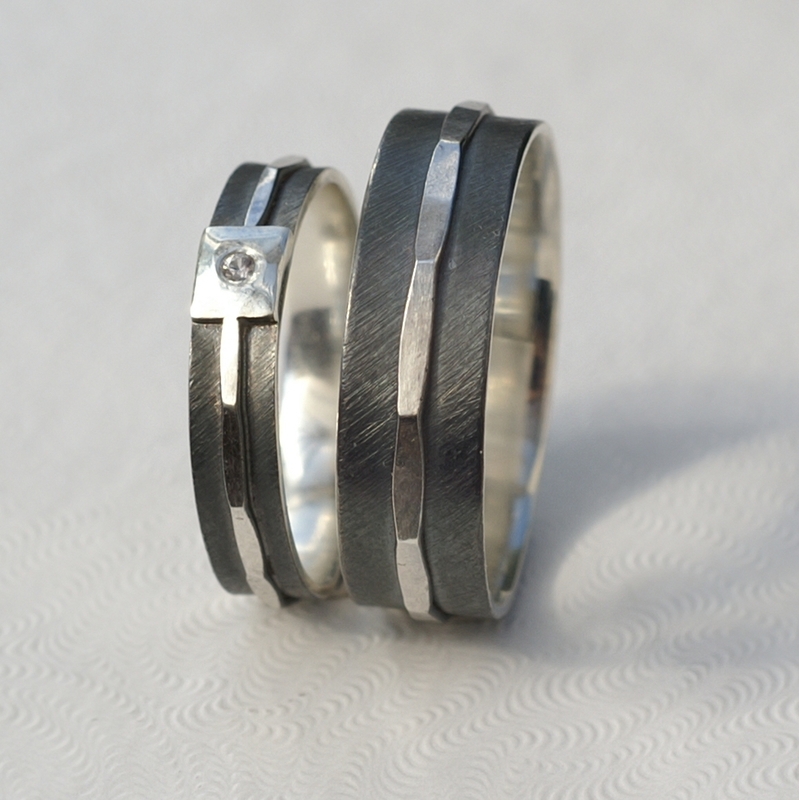 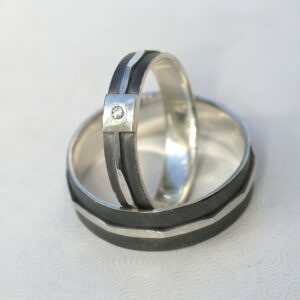 Matching set of his and hers wedding bands in modern style, adorned with tiny gemstone. 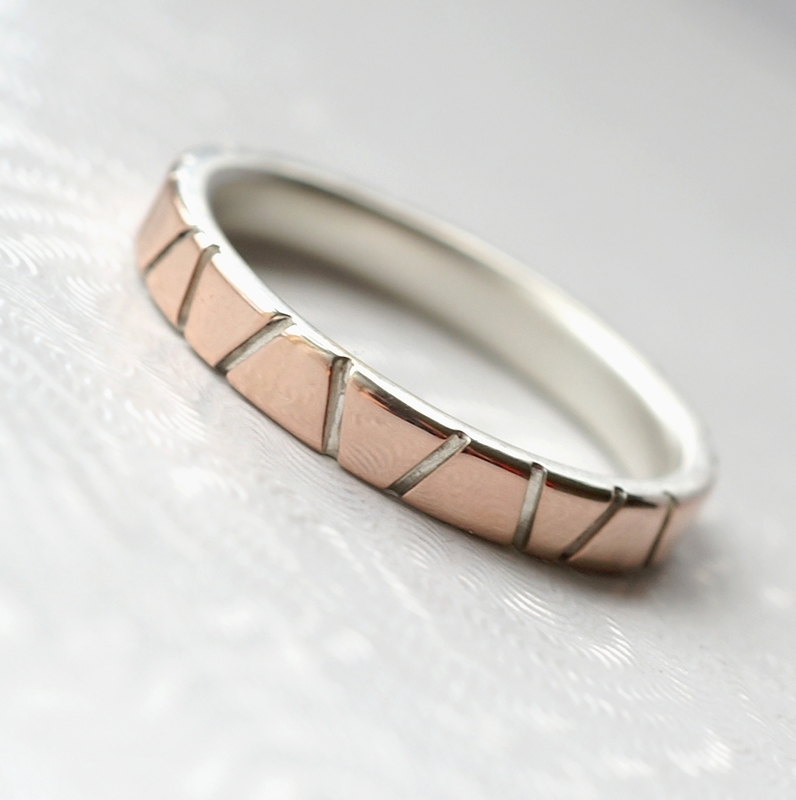 Silver, yellow gold or rose gold middle part variants available. 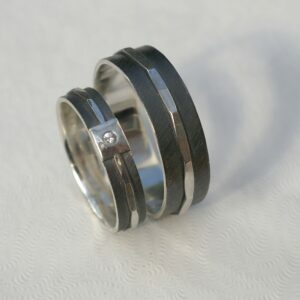 Matching set of his and hers wedding bands. 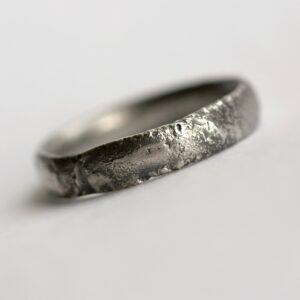 Modern almost industrial style, scratched, hammered and unique. 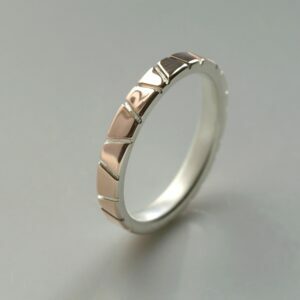 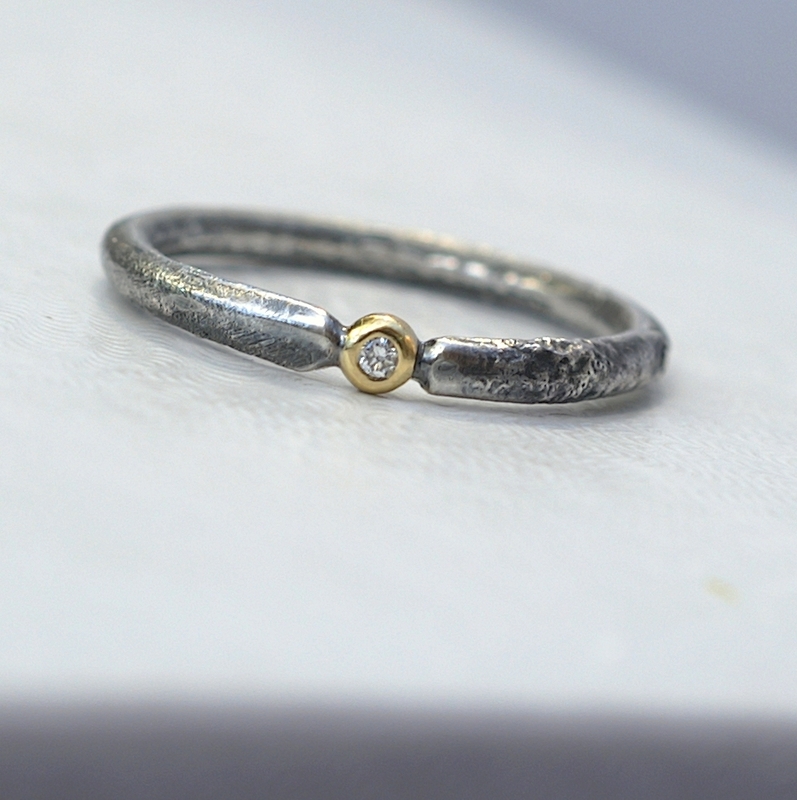 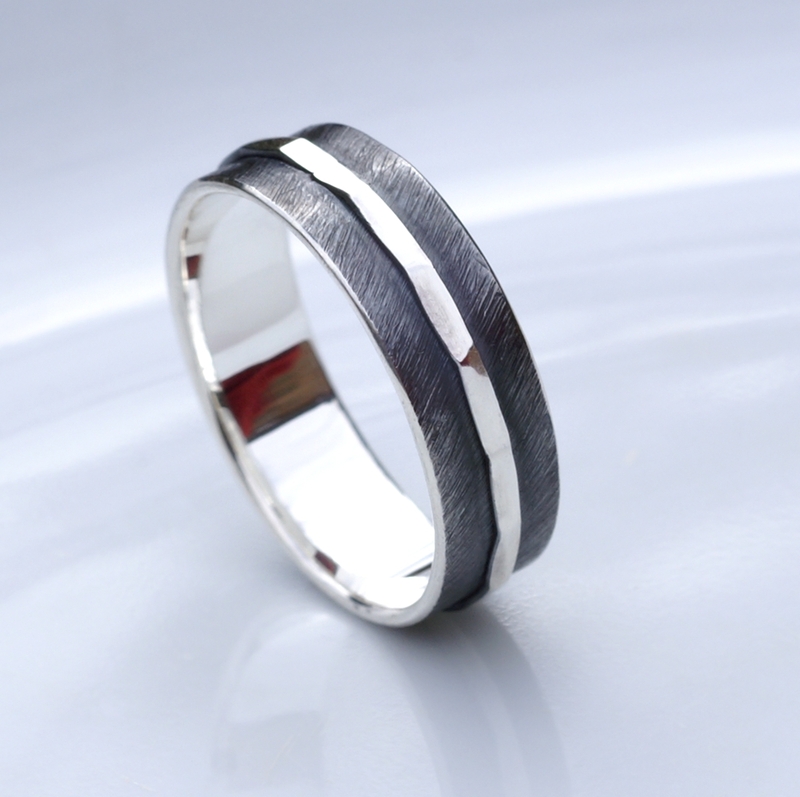 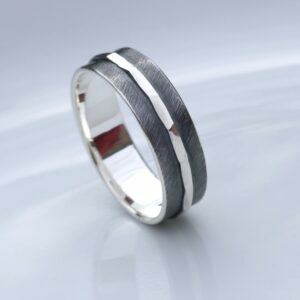 Main part is textured, oxidized and slightly polished, middle part is hammered and polished to shine. 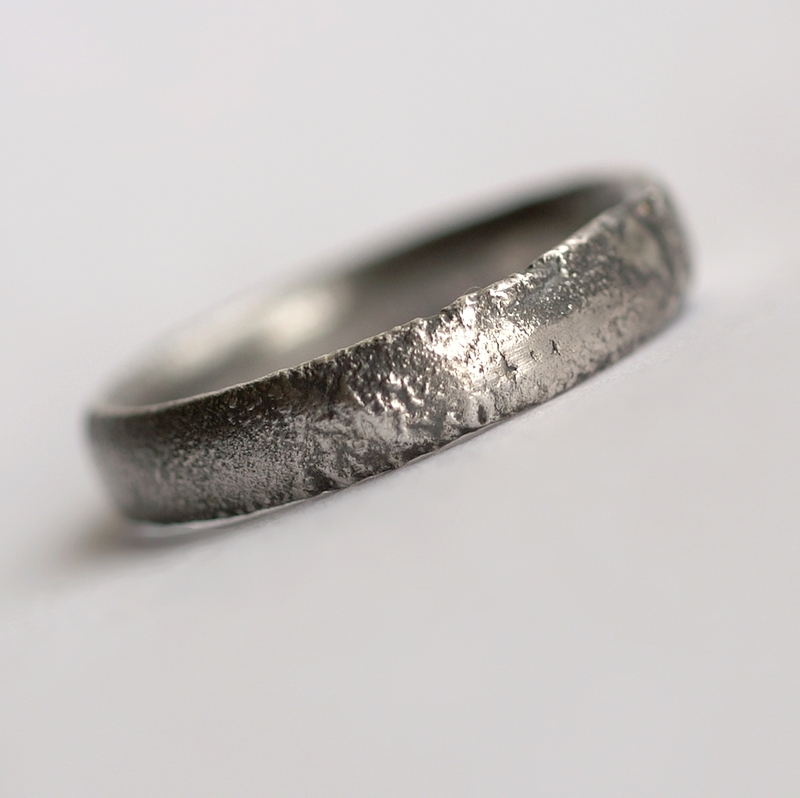 Inside of the ring is also shiny. 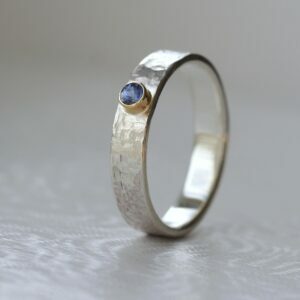 Other gemstones (colorful) may be also possible, contact me for more information. 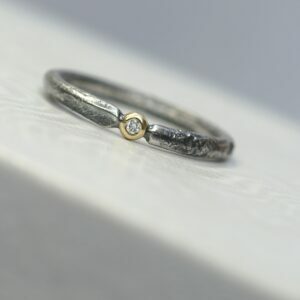 Variant with no gemstone is also possible.